The Landscape Tool allows procedural generation of buildings based on shapes stored in the vector data sources. Underground Pedestal is always 2 meters down from the Terrain level. This value is hardcoded and cannot be changed. The Pedestal height is defined by the Ground floor offset value and is 1 meter high above Terrain by default. The Ground Floor height is defined by the Floor height value and is 3 meters high by default. The height of Upper Floors equals Number of Upper Floors * Floor height. UNIGINE provides a set of built-in materials for generated buildings: they are inherited from mesh_base and named according to the rules. You can also create your custom textures and set up materials. However, your textures should meet a set of requirements described below. There are four types of textures that should be prepared for a building: a texture for the basement, a texture for the wall with openings (doors and windows), a texture for the solid wall, and a texture for the roof. The UV map of each part of the building depends on the size of the wall segment that is shown on the texture. Textures for walls differ depending on the part of the building they are applied to: if a texture is applied to Basement, it should depict Pedestal and Underground Pedestal. For Underground Pedestal and Pedestal, a single texture for a wall is applied. The texture height should correspond to the height of all these parts (in sum). For the ground floor, an individual texture is applied. The texture height should correspond to the ground floor height. For Upper Floors, a single texture for a wall with openings is applied. The texture height is usually multiple of the floor height. It can be multiple of the two, three, etc. floors height, however, it shouldn't exceed the height of the Upper Floors part. If the wall width is less than the floor height, a segment of the texture with openings does not fit into this space properly, and the texture for a solid wall is applied. The first part is tiled with a texture with openings. Its width is multiple of the floor height. 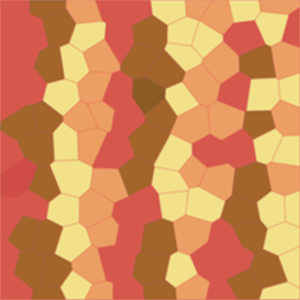 The second part, where the texture with openings does not fit, is tiled with the solid texture. The texture for a wall with openings is applied to each 3*3 m segment (based on the floor height value). For the rest of the wall, the solid texture is applied. For Roof, two textures should be applied: the base and detail albedo textures. 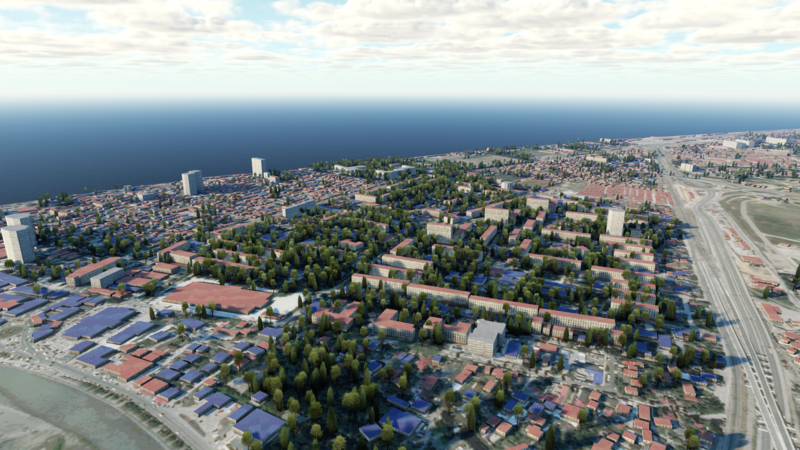 Using the detail texture allows you to diversify colors of roofs with the same material: set up details rendering (blending, masking, UV mapping, shading parameters of the texture) for the Roof material to achieve the required result. 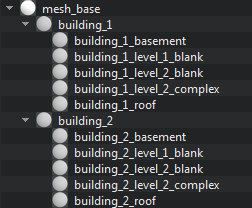 Each building category should have a separate base material inherited from mesh_base. 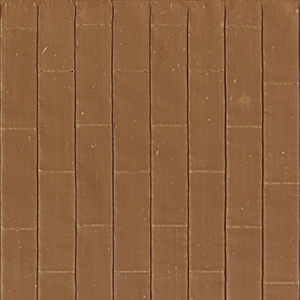 This material is used as the material for the Ground Floor wall with doors and windows. 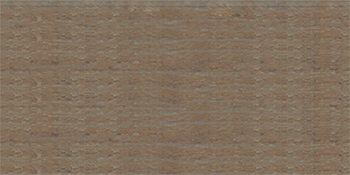 For this material, a texture depicting the Ground Floor should be used. The other materials applied to different parts of the same building are inherited from this one. The base material can have any desired name. When specifying parameters of the buildings, only the base material is specified: its child materials are loaded automatically. _basement — a material for Pedestal and Underground Pedestal. _level_1_blank — a material for Ground Floor wall without doors and windows. _level_2_complex — materials for Upper Floors walls with doors and windows. 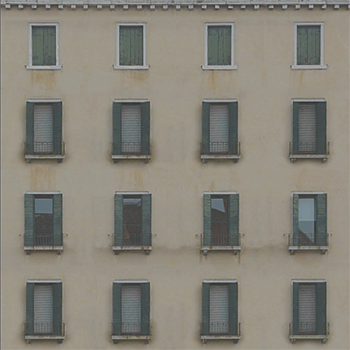 _level_2_blank — materials for Upper Floors walls without doors and windows. _roof — a material for Roof. 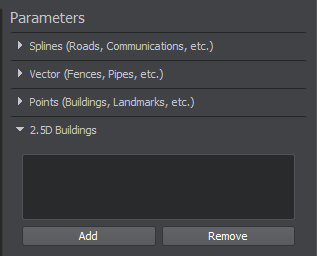 On the Sources panel, select the Vector data source type, and the following settings will be displayed in the 2.5D Buildings tab of the Parameters panel. Add a basic object for generation by clicking the Add button at the top of the Parameters panel and specify the object's name. You can add as many objects as necessary. The tag to be used for the selected object from the list of the tags specified at the first step. This tag is used to select data from the vector source. The tag that is used to read the number of building floors from the vector source. The height of a floor in the generated buildings. The default value is 3 meters. The height of Pedestal. The default value is 1 meter. The size of the grid cell by which the generated geometry will be divided. Geometry of each cell is represented as a separate ObjectMeshStatic object. If the specified value exceeds or equals to the size of the Play Area, a single static mesh will be generated. For example, if you specify 10000, for each 10000x10000 km cell, a separate static mesh will be generated. Minimum visibility distance from the camera at which generated objects (ObjectMeshStatic) start to appear on the screen. By default, this value is -inf. Maximum visibility distance at which generated objects (ObjectMeshStatic) are no longer fully visible: they can either disappear completely or start to fade out. By default, this value is inf. Minimum fade distance, over which generated objects (ObjectMeshStatic) fade in until they are completely visible. Along this distance, the engine automatically interpolates the level of detail from alpha of 0.0 (completely invisible) to 1.0 (completely visible). Fading in starts when the camera has reached the minimum visibility distance and is in the full visibility range. Maximum fade distance, over which generated objects (ObjectMeshStatic) fade out until they are completely invisible. Fading out starts when the camera has reached the maximum visibility distance and is out of the full visibility range. The tag is used to read the building category from the vector source. Materials are assigned to buildings based on the value of this tag. The value must be an integer. 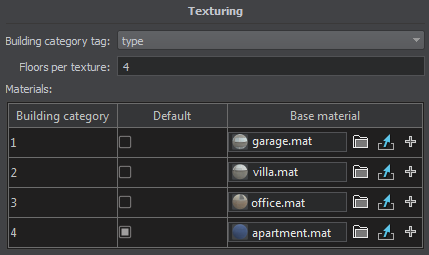 For example, you can specify the type tag here: buildings of different types (garages, apartments, houses) will have different materials applied. If the texture height corresponds to the height of a single floor, this value should remain 1. The texture will be applied for each floor. 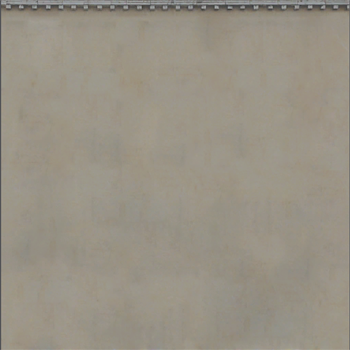 If the texture height corresponds to the height of two/three/etc. floors, this value should be set to 2/3/etc. The texture will be applied for every two/three/etc. floors. If the texture height is equal to the height of the Upper Floors part, this value should be equal to the number of Upper Floors. Building category — the category of buildings for which the material is applied. Here the value of the Building category tag should be specified. Base material — the base material for the specified building category. Default — the flag indicating if the material of this building category should be used as the default one. It is applied when the vector source contains no data on the building category or no material is specified for the building category. For example, we use the type tag as the Building category tag. The vector source should distinguish between various types of buildings by using integers. 1 is assigned to garages, 2 — to villas, 3 — to office buildings, 4 — to apartment houses. The garage material and its children are applied to buildings with value 1, the villa material — to buildings with value 2, etc. In addition, the apartment material, being the default material, is applied not only to buildings with value 4, but also to buildings that have no value assigned, or have a value that is not specified in the list. Select basic objects that you want to be generated. If you are going to update some of the existing buildings, select only the changed ones. Buildings that are not selected remain unchanged after terrain regeneration. Now you can generate buildings by clicking the Generate button and selecting the Vector objects option in the Steps window. In this case only vector objects will be generated. 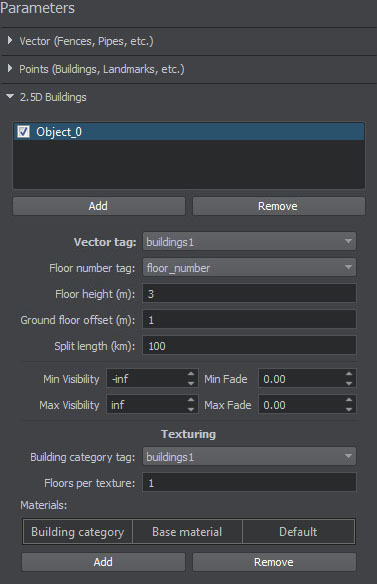 To regenerate a certain part of existing buildings, select only the basic objects that should be updated, click Generate and select the Vector objects option. Only the selected buildings will be regenerated. Basic objects that have not been selected remain unchanged. If you are going to regenerate only buildings, other vector objects (vector, point, and spline) must be unchecked.